Kill the Madwoman | alyssa santos - rocks. roots. wings. Her soft hands, so fresh from womb, only a few years into this journey called life, placed one smooth-sided block atop another. Her black eyes–steeled flint in focus–worked the masterpiece in the child’s mind. When the final block was placed, pinnacle of the preschool room, she rested hands on lap and breathed the sweet release of the creative and her eyes shone with the single, satisfying comprehnsion: perfection. Nothing we build with hands and smooth-stoned concentration truly lasts. In a moment, the ziggurat toppled as another girl’s glistening buckle-strapped Mary Janes marched through the valley of perfection. Her single-minded goal was the dolly resting non-chalant in the pink plastic shopping cart. Her single thought? Mine. Wails from the builder-girl. Dolly-snatcher trips, lands face first on a Barbie car. Chaos and madness. And no one got what they wanted. Crying for comfort, for redemption, for justice they both came to me. I was the fair judge, the lord-of-the-preschool, the One who could set it all aright. But not really. I offered sympathy in the form of pats, fished for a tissue to clear the tears and snot that threatened to drip on shiny shoes, and performed the magical sleight-of-hand in a caregivers arsenal: Distraction. And I think of that time when the madwoman overtook me. America shuddered in terror as the death-count grew. I sat in September-flowered cloister, listening to the silence of the skies bereft of aircraft and prayed. For them, the families, the newly deployed who would come home riddled with holes and problems and missing limbs. And I prayed for me. Little guilty prayers. Because my life appeared to be a tower of smooth-sided building blocks, carefully placed, wonderfully enjoyed. And I was the princess inside the tower: middle class, happy family, two children-boy and girl- healthy and bright, man by my side. But the tower was tottering. Joy had fled like the languid pre-Labor Day summer. There was a crisp taste of destruction in the fall air and a war of terror battling in my chest, in my mind. It was Lilliputian in comparison, I knew, I know, but full-scale warfare was happening within me. The A-bomb might drop at any moment and leave me ruined. And I was terrified. We had lost thousands in bad investments, victimized by people we thought we could trust. We were upside down in real-estate debt. And as punctuation to the run-on sentence that threatened to destroy us: a baby unborn, lost before we met. Even the unborn were unsafe. And then, as school began and the calendar turned to fresh September, I missed my period. Yes. No. Could I be? The miscarriage and pregnancy and ensuing tide of hormones ground me down into the cave where I met the madwoman, wild-eyed hermit of fear. She ran naked and filthy in the realm of my unkempt soul and taunted me and my perceived security. And my wails to God became all about me and my fear. I was afraid of anthrax and small pox. Vivid dreams of my children and new infant, poxed and oozing, startled me awake gasping. I stumbled to the bathroom for a drink, a breath of air to shake the cold-sweat terror off my back. And I saw her in the mirror: eyes wide and flaming, fevered with fear; hair everywhere framing gray skin in the moonlit room. In an instant I flicked on the light and saw only me. Tired me. Sad little me. Wearing pajamas and not in tattered rags like some female Smegol. I took a long draught of water straight from the stream and stumbled to bed. Next day, I pulled the plug on the cable TV– right out of the wall. I stopped answering the phone and never got the mail from the box beside our quiet suburban street. I dug trenches and hunkered down, an anchorite of the soul. Weaponless, I had to wait out the battle and pray I survived. I prayed feeble prayers that this child within me didn’t come out touched by the darkness, like a baby Edgar Allan Poe. I asked that she come through me unscathed, that being in the womb of a near-crazy lady might not affect her. I sank into my bed as the autumn sun stretched golden on the garden, exhausted from the ministrations of my daily activities. I still cooked dinner, pushed my children on swings flying at the park, made home-made playdough with food coloring and glitter mixed in. I planted flower bulbs in still-soft soil. I acted out the scenes of life and hope, but the madwoman within, a parasite, sucked me dry. I ran to God nightly begging my pauper’s prayer: save me from this fear, please, take it from me! The silent answer, night after night. Nothing. Soft pat on my knee and the enlightened guru disappeared into the mist of the office hallway. The pelting water ran cold and the madwoman ran, her screams diminished by the birdsong at my window. From the shower stepped a new person, free and baptized in the waters of confession. Friend, He who knew no sin became sin for you. He is our peace. He can save us from the madness. He already has. Do you know him? 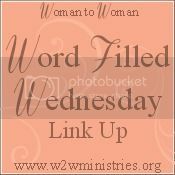 I am broken and spilling prayers for you today. A part of me worries that I know exactly what you’re talking about, Alyssa. That I have seen that woman. I, too, have utilized my time in pouring water to confess myself clean. You stirred my heart as always. So thankful for grace. So grateful He gives relief. So blessed to know I’m not alone. . .
Isn’t that a gift of heaven, this community of grace? I am amazed to think we get to live in community forever in the presence and light of Jesus — and free of the battle — thank you, too, friend, for coming and reading and sharing. The hardest battles are always the ones within… The only way to win is to submit to the Truth. His Truth. Amazing miracle how we can be in the exact same circumstances and within seconds be in a place 180 degrees apart spiritually. God is great. OH, bless that sweet, brave man for speaking truth to you. Beautifully told–so raw and tender. I am honored to read this part of your story. He is an amazing dr. to be sure, and he is sweet and wise — I am grateful for that day he spoke truth to my quavering heart. The pathos and fear here, Christ knew all along. Even when you heard only silence, He heard your heart. Heard your cry and answered. I recall that day so well myself. Who could forget? Always. ~ Love and blessings! We get angry when our blocks are toppled over by others and our world crumbles around us, but there is HOPE. Those healing waters shower over us and cleanse us and cause us to be whole again. Hi Alyssa~ I don’t know if you remember me from many years ago, back at NWC. I am Shari Schmidt, now, Shari Miller. I was so happy to have stumbled upon your blog. You writings are simply wonderful! You have an amazing way of putting words to page and creating pure poetry. I heard about your accident last fall. You and your family have been in my prayers. I am glad you are getting better. God is good! Many blessings to you! Yes, I remember you. We’ve come a long way since NWC, haven’t we? At least I know I have — thank goodness that Jesus and everyone else that loved me never gave up on me. I’m glad you commented here and I’m grateful to the opportunity to reconnect! Thank you for thinking of us during this recovery — it has been a challenge, but God is good and we’ve been surrounded by wonderful people that have helped us and loved on us through this. The prayers, though, they have been amazing in keeping us going. I read on your blog about your battle with cancer, so you know, in a very real way, that we sometimes have to navigate through places we did not plan to go. I hope that you’re well and cancer-free. So happy to “see” you again. Wow. Your words ~ so poignant and true ~ resonate deeply. To remember what you know and Who who know. What beautiful words of encouragement. 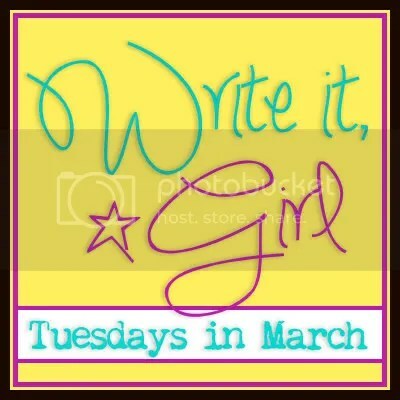 I’m here from “Write It, Girl.” And I’m so glad to have found your blog. I’ve read your About page. We have some things in common. I’m looking forward to reading more.